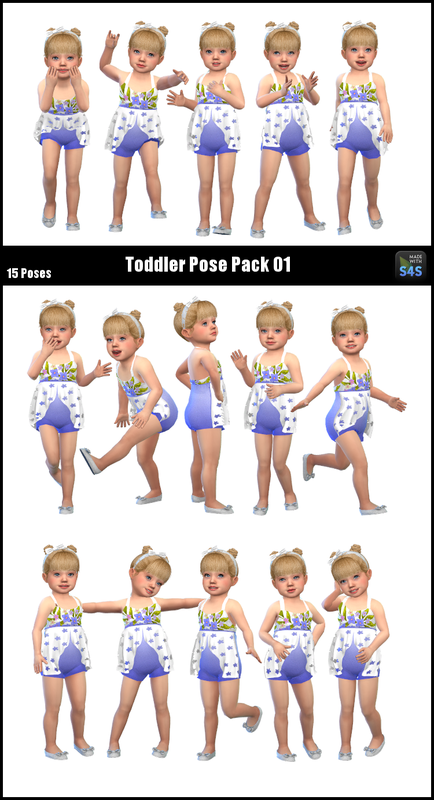 I know I’ve made other toddler pose packs, but it’s time to start neatly numbering them. =) Floating poses are meant for CAS to zoom in on the whole sim, the regular, not floating ones, are best for in game, or if you want to zoom in to the sim’s face in CAS. You can add one of each if you like! I have this pack available as floating, and not floating, for every CAS trait, so pick whichever one works best for you! And the swimsuit is from?